My grandparents (both paternal and maternal) have Diabetes. So I feel that it is just matter of time to get it. It is a request from my readers to make some sweet for Diabetes. 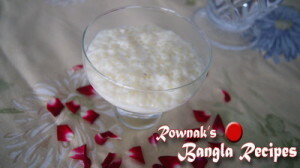 So I think (talked with our physician) a lot about it and find that Sabudana Payesh / Sago Pudding will be Bangladeshi Dessert for it. Just use sugar to make it regular but Artificial sweetener is a popular option for health conscious people.Thanks. 1. 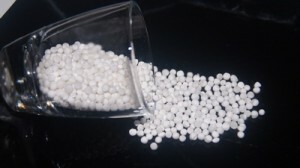 Soak Sago in ½ cup of milk for 15 minutes. 2. Heat rest of milk in a saucepan with bay leaf, cinnamon and cardamom. 3. When it comes to boiling point, add sago milk mixture in it. 4. Now cook it till sago is cooked and transparent (don’t forget to stir constantly). 5. Add Artificial sweetener as per your taste and stir well. 6. 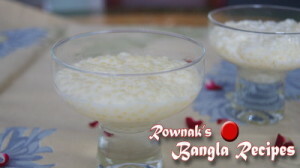 Enjoy Sabudana Payesh / Sago Pudding (Specially For Diabetes). Your sabudana payesh hit the spot. As I am diabetic too it filled a sweet spot i was missing!